Pink Notes Diary is so sweet. She gave me this Perky Blogger Award. I guess she thinks I'm perky. Gee, Pink Notes, you should meet me--I'm perkier in person, so much so people always ask me if I'm drunk or high. 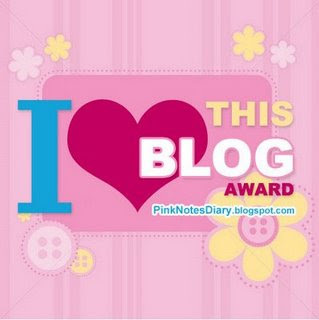 Anyway, Pink Notes Diary gave me yet another award--the I Love This Blog Award. Thanks! I'm sending this award to my friend Mariel Chua, who just recently completed her 30-Day Blog Challenge. She was bent on blogging every single day for 30 days. Even I can't do that! She did it so well, too. Each post was well written. There's really no point in blogging every day if all one writes is crap and, believe me, there are so many blogs out there that are a pain to the eyes and the mind. 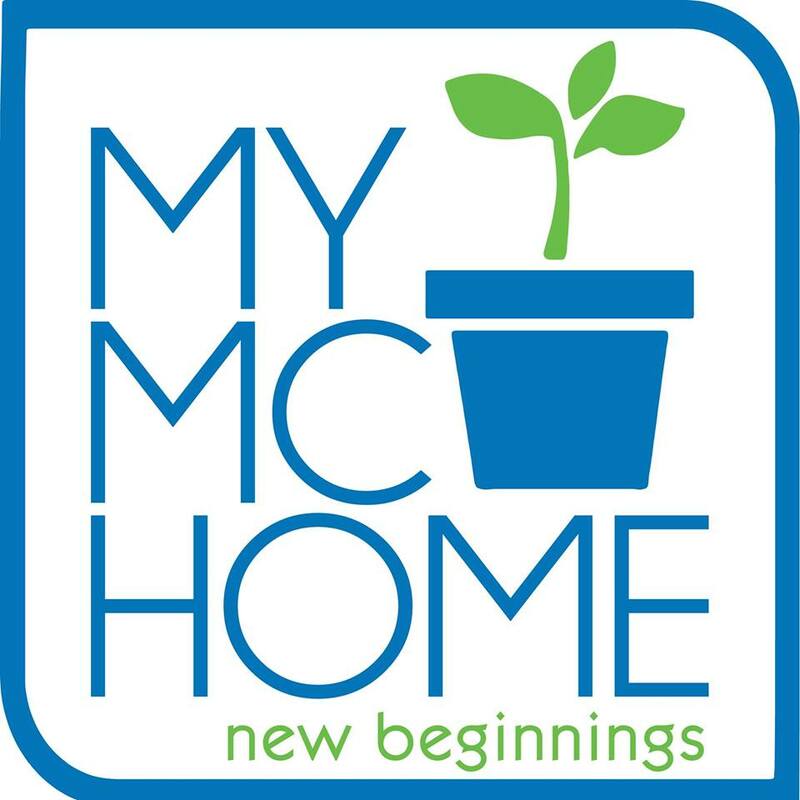 So I am in awe at wonderful and prolific bloggers like NY Minute Now. Another blog I enjoy now is Marie Calica's The Beauty Coach Is In. It's funny, witty and full of beauty tips and tricks. A joy to read. Marie, you are now the recipient of the I Love This Blog Award! I have another blog I like--Fifi Lapin. Or Fifi the Rabbit. I love it because it's fashionable, clever, funny and its star is a rabbit! Unlike other rabbits--like my own two cuddly wuddly wabbits--Fifi is very slim. I guess that's how she can fit into those covetable sample sizes of the desgner dresses she's always wearing. Perhaps I should ask her advice for diet pills, er diet pellets, since my Galadriel and Matilda are super duper chubby! I'm really enjoying these awards I've been getting. Thank you so much for appreciating this silly blog! Do tell me what blogs you enjoy reading. I'm always on the lookout for fab reads! 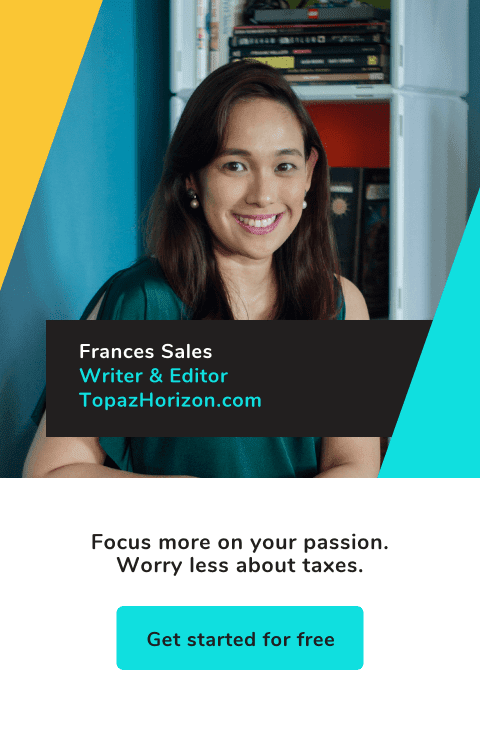 Hey Frances, thanks so much for giving me an I LOVE THIS BLOG AWARD! As for Mariel, ya, I'm all praises to her for completing the 30 day challenge. I don't think I could do that. 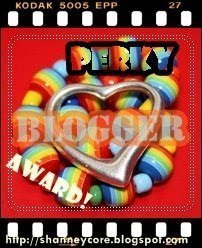 And yes, Pink Notes Diary is right in giving you the Perky Blogger award—you're the perkiest person I know! Lovely ladies, you deserve it! I miss you both!! !